One of my favorite things to make is Quinoa. I LOVE sauteeing onions and peppers and then adding quinoa and spices. It is SO good! Well, I had some left overs and thought it made a great breakfast. Yep I was right! I just added a couple of eggs and YUM-O! 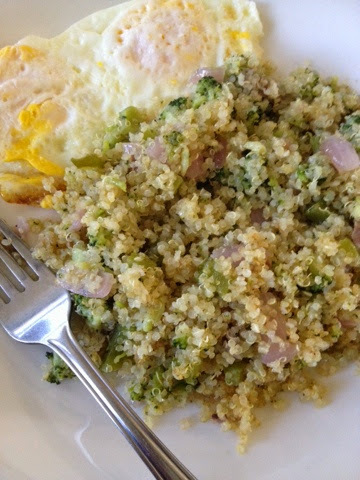 I love quinoa for breakfast!